Providing you the best range of cupro nickel pipe, cupro nickel round bar, cupro nickel tube, cupro nickel flanges, cupro nickel 90/10 (uns c70600) tubes and cupro nickel fittings with effective & timely delivery. 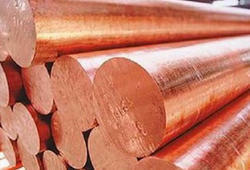 Oshwin Oveerseas a broad inventory of Copper Nickel, also known as cupro nickel, C70600 (90/10) and C71500 (70/30) in pipes/ Tubes form. Our inventory of ASTM B466/ASME SB466 is composed of C70600 in SCH 40 & 80, along with Class 200, in addition to C71500 in SCH 80. The C706 Copper Nickel pipes are either annealed, light drawn or hard drawn whereas the C715 pipes are annealed or hard drawn. Copper Nickel pipes are commonly used in seawater piping due to its complete resistance to barnacles and other marine organisms. Its resistance makes seawater fire fighting systems, desalination water systems, and similar applications much more reliable. 1/4" Standard (SCH 40) thru 10"
1/4" Extra Heavy (SCH 80) thru 4"
1/2" Class 200 Mil-T-16420 K thru 10"
1" Extra Heavy (SCH 80) thru 4"
Cupro Nickel 70/30 & Cupro Nickel 90/10 Rods, Plates, Pipes & Flats. We are among the preeminent names in the industry, engaged in making available Cupro Nickel Tube to our valuable customers. The offered tubes are precision engineered by our professionals with the aid of sophisticated technology. 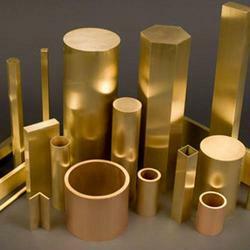 Optimum quality cupro nickel is procured from established vendors for manufacturing these tubes. The Hard Drawn Copper Pipe manufactured by us is widely used for various industrial applications and processes. These Hard Drawn Copper Pipes are available in different dimensions and sizes in order to meet diverse requirements of the clients. The Plumbing Copper Pipe offered by us is an ideal temper for cold bending and forming can be easily bent on an appropriate bending machine or for 6 to 22mm, O.D. sizes, with a bending spring. This variety of Plumbing Copper Pipe is manufactured from high-grade raw material to ensure a reliable and long lasting performance. 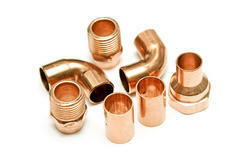 We offer Medical Copper Pipe which is widely used for medical purposes. 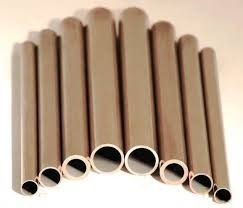 These Medical Copper Pipes are fitted with plastic end cap and polythene wrapping to maintain its cleanliness. 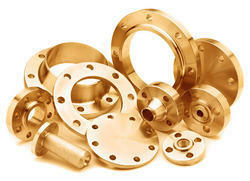 Our premium range is manufactured conforming to BS EN 1057 & BS 2871 Part 1 Table X standards.